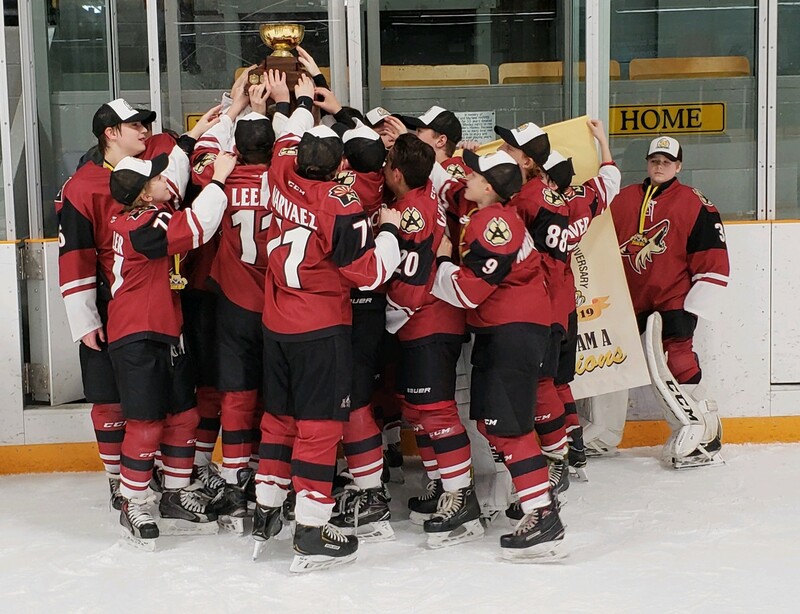 The Jr. Coyotes’ 13U team had a little of both on their recent trip to Toronto, playing in the Aurora Bantam Hockey Tournament in the hockey hotbed of Southern Ontario. 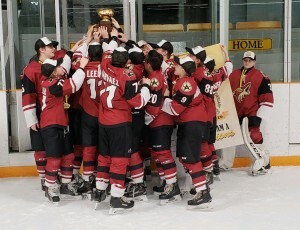 Going a perfect 6-0 against all Canadian teams, the Jr. Coyotes brought home the championship during the first weekend in January. The win was the team’s third tournament championship of the season. 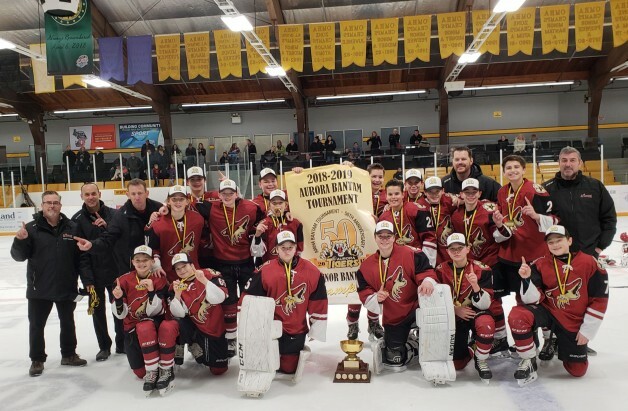 “There were 14 teams in our division, and we knew we’d probably have to run the table and win every game – that’s exactly what these players did,” said Jr. Coyotes coach Bill Mosienko. “We talked a lot about heart, grit, and earning respect over the weekend. They played every game with a commitment to win by digging deep, and it was evident by the end of the weekend the players earned a lot of respect from their Canadian opponents. The Jr. Coyotes won their first game handily over the Copper Cliff Redmen, 5-1. In the second game, the team went down 2-0 early but came back to win 3-2 versus the TNT Tornadoes. Game 3 was against the reputable Whitby Wildcats where the team played flawlessly, winning 2-0. The final round-robin game was against the physical Aurora Tigers, but the Jr. Coyotes weathered the storm, winning 4-2. In the semifinal, the Jr. Coyotes matched up with Nickel City and the Jr. Coyotes won 2-1 with a late goal in the third period. In the championship game against the Newmarket Redmen, the Jr. Coyotes jumped out to a 2-0 lead in the first period but the Redmen did not give up, ultimately tying the game late in the third period leading to a 3-on-3 sudden-death overtime period. “Between the third period and sudden death, we talked about the same messages we had stressed all weekend – puck possession and getting pucks on net while not overhandling,” said Mosienko. Ultimately, one quick shot off a faceoff, deflecting off a Newmarket defenseman, led to the winning goal that captured the championship. Clearly, the Jr. Coyotes were good and lucky this weekend. The Jr. Coyotes’ 13U roster includes skaters Mavric Boese, Cal Butler, Carson Curry, Finn Fitzgerald, Nolan Gentry, Shane Iralson, Derek Jenk, Trevor Kaminski, Colin Leeds, Luke Millington, Garren Narvaez, Tyler Posch, Parker Stepien, Drake Sullivan, Connor White and Ben Woolaver. Goalies are Matthew Gahan and Abby Locke. Joining Mosienko as assistant coaches are John Curry, Chris Gentry, Alan Narvaez and Rick Stepien. The team manager is Chris Woolaver.